Ushahidi is an Open Source excellent information Collection Visualization App, this is a guide to install on Rackspace Cloud Sites in easy steps. Ushahidi is quite helpful and there are histories with Ushahidi, you can read on Wikipedia. Download it and unzip it on Desktop, upload the contents to the root of the subfolder. The way of installation is essentially the same, please follow basic principle as described on owncloud installation. Ushahidi is actually a platform which is built on the Kohana web framework, based on CodeIgniter framework. Ushahidi includes built-in support for Nexmo SMS API, Clickatell SMS gateways. 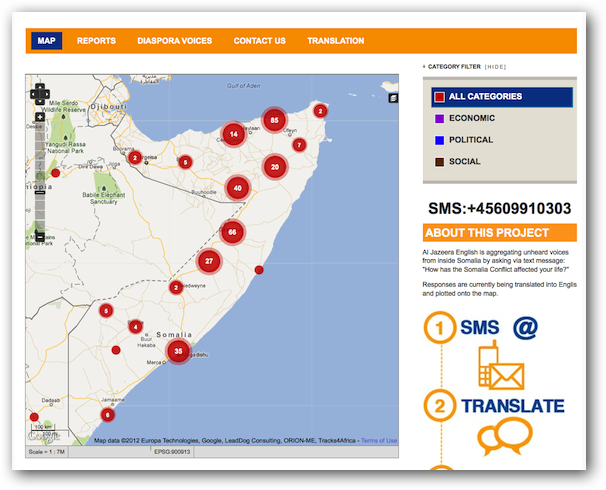 Ushahidi can be set up using a local SMS gateway created by a local FrontlineSMS set-up. This Article Has Been Shared 6391 Times! VPS without control panel makes a new users scarred with the only black command line option. But this is the best way and you will master to use it very fast. Cite this article as: Abhishek Ghosh, "Ushahidi information Collection Visualization App on Rackspace Cloud," in The Customize Windows, October 3, 2012, April 21, 2019, https://thecustomizewindows.com/2012/10/ushahidi-information-collection-visualization-app-on-rackspace-cloud/.